"This outfit is my style, which I consider urban prep. I'm always ready to go to a concert and to go to a business meeting. 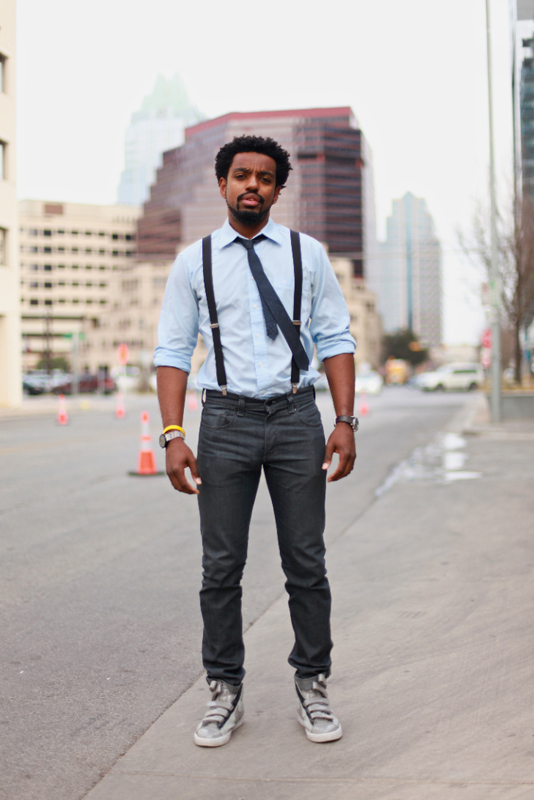 The suspenders and tie have the business look and the sneakers complete the urban look." 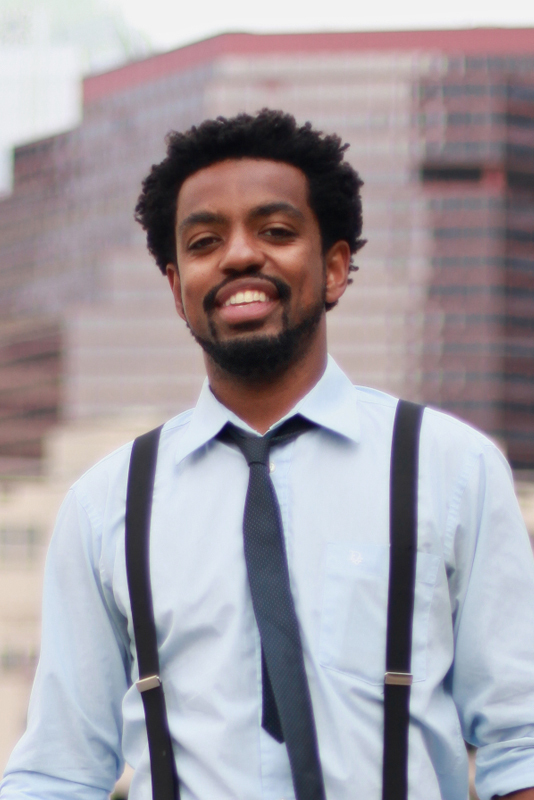 Joah was one of the organizers of the first Style X (Style By) at SxSW this year. I'm intrigued that Joah wears a watch on each wrist, as if he can't be bothered to add or subtract hours and each time zone needs a dedicated watch. Thin tie means business and rolled up sleeves means he's in the thick of it. His suspenders hint at the idea that he was possibly wearing a sport coat earlier in the day. Then again he's young, so maybe it indicates a punk aesthetic?